Let's Active were a jangle pop/alternative rock band which formed in 1981 in Athens, Georgia, United States. 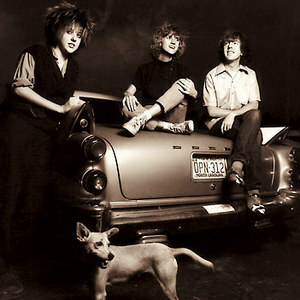 The band originally consisted of Mitch Easter (vocals, guitar), Faye Hunter (bass, vocals) and Sara Romweber (drums). Later members of the band included Angie Carlson (multiple instruments), Eric Marshall (drums), Rob Ladd (drums) and John Heames (bass). The band released one EP, "Afoot" (1983), and three albums - "Cypress" (1984), "Big Plans for Everybody" (1986) and Every Dog Has His Day (1988) before disbanding in 1990. The band released one EP, "Afoot" (1983), and three albums - "Cypress" (1984), "Big Plans for Everybody" (1986) and Every Dog Has His Day (1988) before disbanding in 1990.